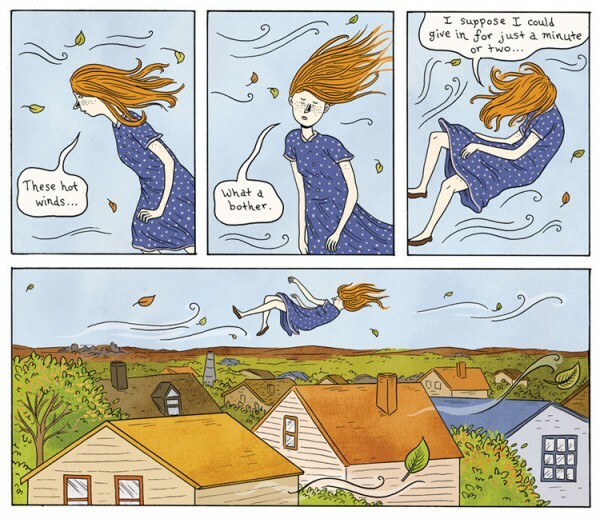 The Columbus Museum of Art and Thurber House announced Lilli Carré as the winner of the third annual Graphic Novelist Residency in a release and related posting made public earlier today. The residency means that Carré will be put up at the Thurber House for three weeks during which she'll work, have her work presented, and participate in some programming. Carré is Chicago-based, making her a Midwestern artist like previous winners Paul Hornschemeier (who has since relocated to Boston) and Ed Piskor (Pittsburgh). 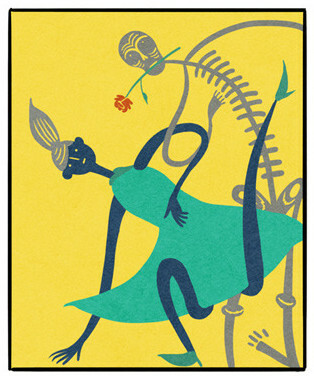 Her most recent comics work is the short-story collection Heads Or Tails (Fantagraphics). Carré is schedule to lead a Young Writers' Studio on March 18 at the Thurber House, have her work exhibited at CMA March 14 to June 8 -- making a trip to Columbus for this show and the Watterson/Thompson show at Billy Ireland a must for regional comics fans -- an Art Lab session with the enrolled high school students March 19, and a talk and interview with Jared Gardner on March 30. Details through that initial link. The CMA show will include efforts by Carré in other media.